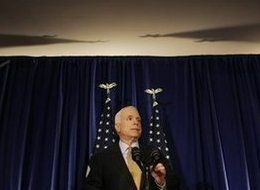 Another, however, lamented the fact that McCain could very well claim the ethical high-ground. "In general," said an aide. "I'd say we should have thought of it, but we did, then McCain [screwed] us." I find it incredibly hilarious that anyone could think McKeating Five could ever claim the ethical high-ground on anything.